Following a record-breaking residency at Caesars Palace, Céline Dion wanted to launch her world tour with a sleek, sophisticated stage. 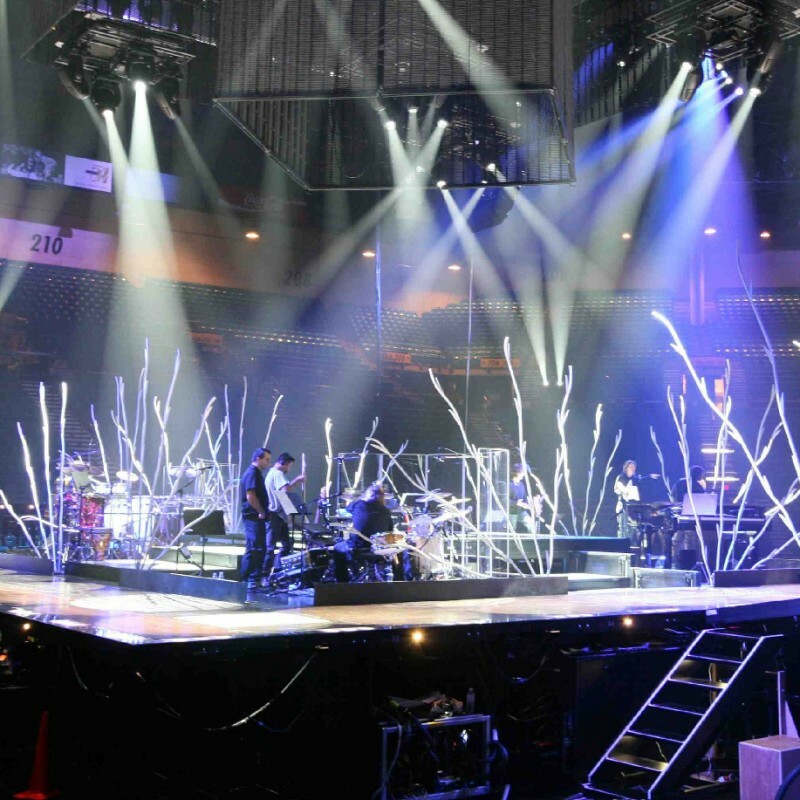 In order to provide Céline Dion with the flexibility of changing environments, we designed a stage made up of 11 elevators and 2 conveyor belts. The stage also consisted of two side wings that stretched towards the grandstands so that the singer could get closer to her audience. Because the stage had to be used in several countries with varying safety code requirements, we chose to have the structure certified under the German TÜV norms, renowned for being the strictest in the world. 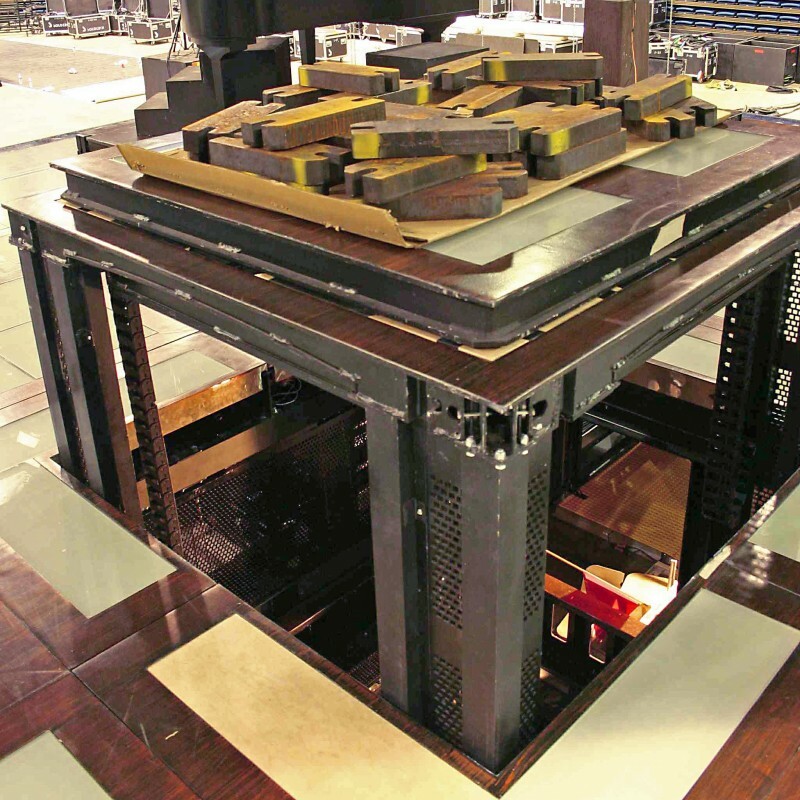 To meet the needs of the production, we developed a new decking system to accommodate the integration of traps, LED tiles and screens, as well as the machinery that would rotate all of this 45o towards the public and stage. The structural properties of the decking allowed for minimal support, which helped the teams get around faster under the stage. 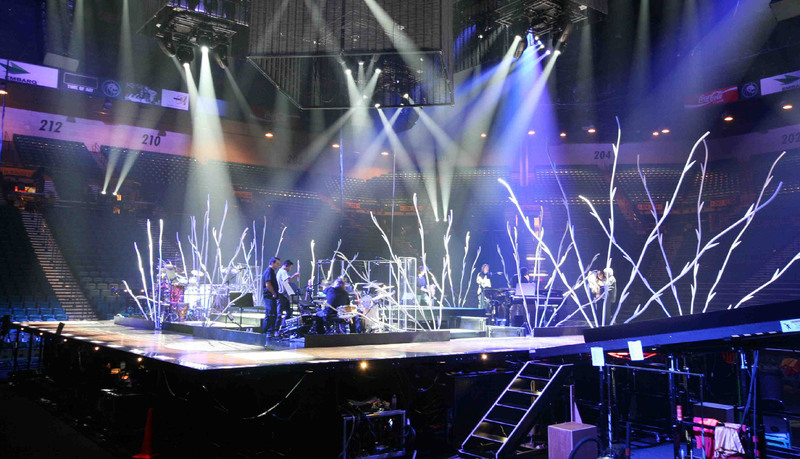 The set featured a forest that fanned out along the edge of the stage. To create this, we developed a simple mechanism that deployed the trees in a synchronized motion. Testing the structure elevated with added weight. Rehearsals for the mechanism that deploys the trees.